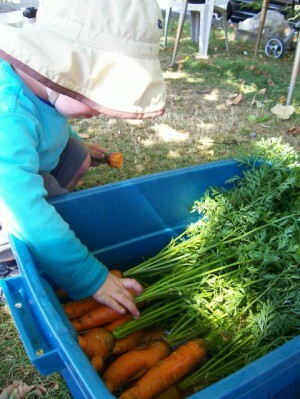 Farmers on 57th is a non profit organization which operates an urban farm with a CSA program, educational community gardens, and therapeutic accessible gardens in Vancouver, B.C. 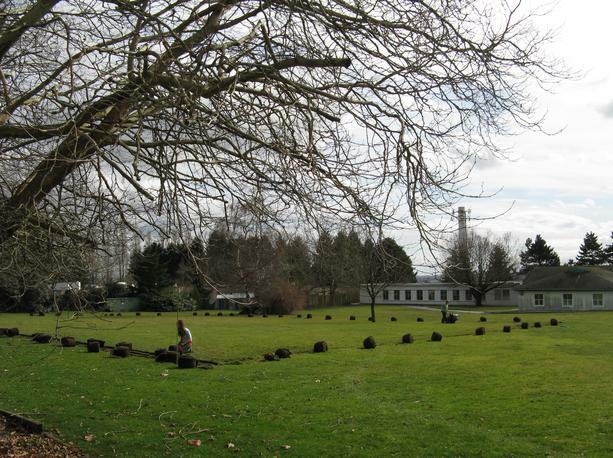 In 2009, the Farmers on 57th group began an agricultural project to transform one acre of lawns at George Pearson Centre (GPC) into community integrated gardens. GPC is a long-term care facility for people with disabilities. 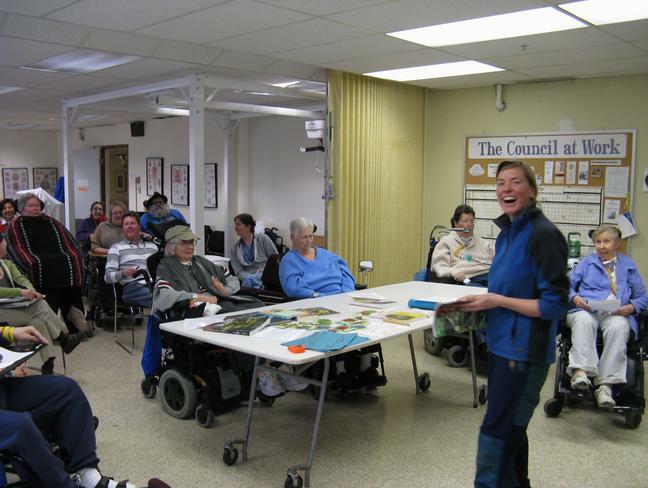 It is home to 114 residents living with physical disabilities and is operated by Vancouver Coastal Health. They have welcomed the idea of growing food and flowers outside. The name “Farmers on 57th” comes from the location of George Pearson- just west of Cambie and 57th Avenue in Vancouver. While we began as a project under the wing of the Disability Alliance of BC, in 2016 Farmers on 57th formed a non-profit organization. 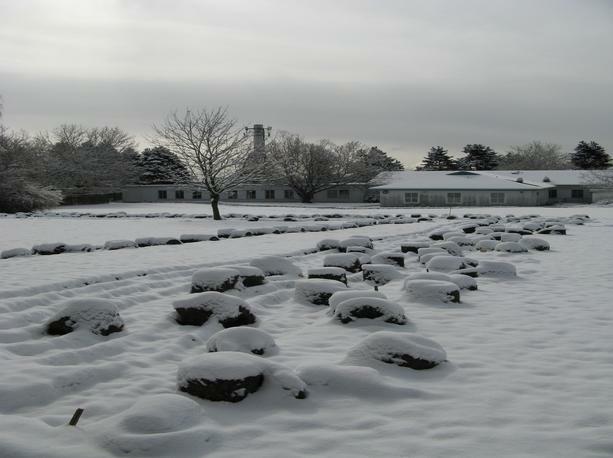 There are three main parts to Farmers on 57th: the Therapeutic Gardens, Market Garden and Growing Eden garden. 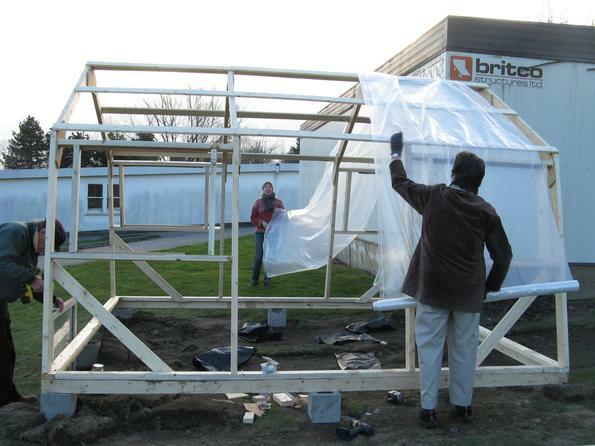 The greenhouse underway. Siting, foundations and frame are done. Now for the plastic cover. The parents help. and then it snowed! March 9. 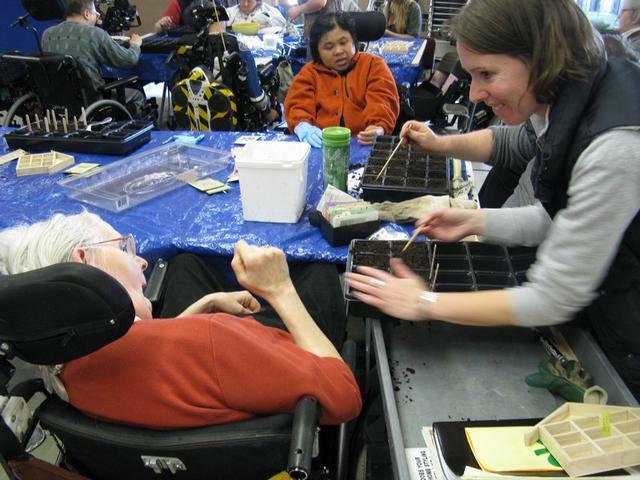 March 13: our first Garden Club meeting. We divvied up plots and talked about growing chocolate. 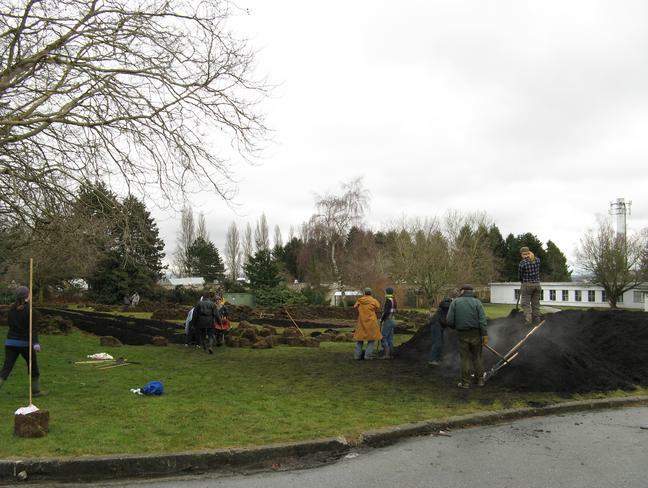 March 14: Work party, shoveled 50 yards of compost. It's starting to look like a garden. March 31, Seed Starting. Aimee works her magic with chopsticks and seeds. 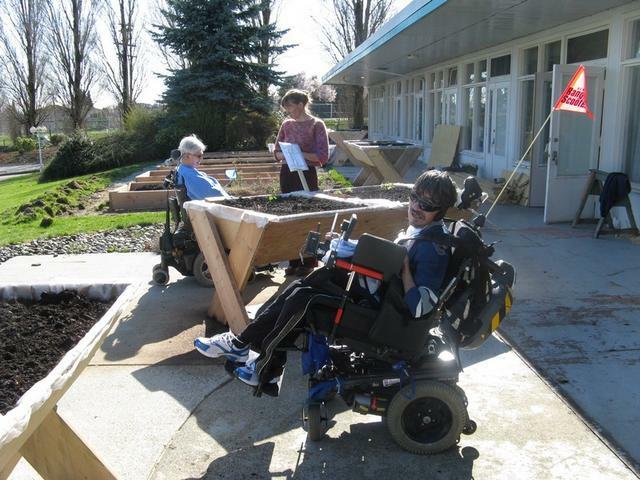 Wheelchair accessible gardens are ready to go! An early season planting day. 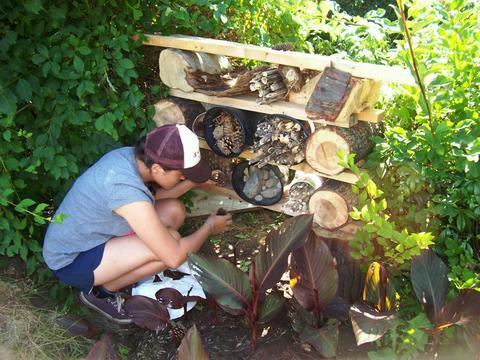 A visiting Youth Leadership Program, SOYL, installs our insectiary (a habitat for beneficial insects). Some of the first treats from the market garden. Yum!